When I looked through my makes for this year I've had quite a few successes. Go me! Of course not of all the fails ended up on the blog - most of them ended up in the bin actually - but they are firmly etched in my memory! For something so simple, these skirts would easily have to be my current favourite make. Since finishing these I've worn two of them to death (they even came on a mini-break to Brisbane with me). One I don't love so much (the one on the right here) as the elastic is not my preferred "comfy elastic" and another I scarified as I wanted the elastic from it to make the skirt on the left. Whilst the bodice of the Lady Skater Dress is still a bit iffy on me - the bottom half of the pattern makes a GREAT skirt. More please! 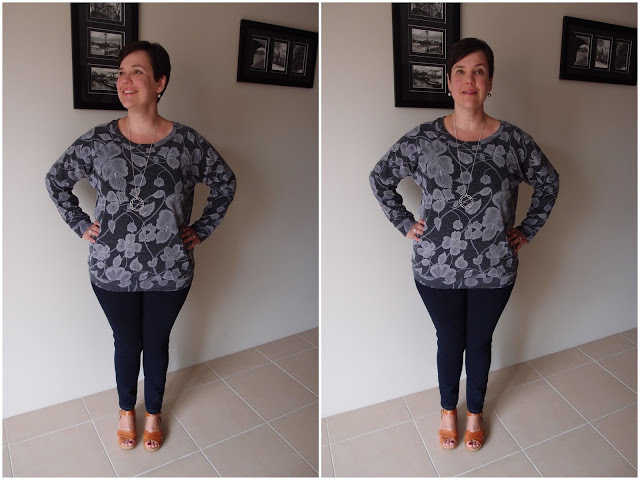 I've made four Linden Sweaters thus far as this one is my favourite to date. I'm not sure why I love it so much -- I haven't even worn it yet, but it's a combination of the fabric and finally getting the length right on the sleeves and the jumper. It's coming with me to Japan and hopefully I'll get a lot of wear out of it. I'm not sure if I'll pack my Butterfly Ponti Linden (too long) - but it should get an Honourable Mention for having such a pretty front panel. 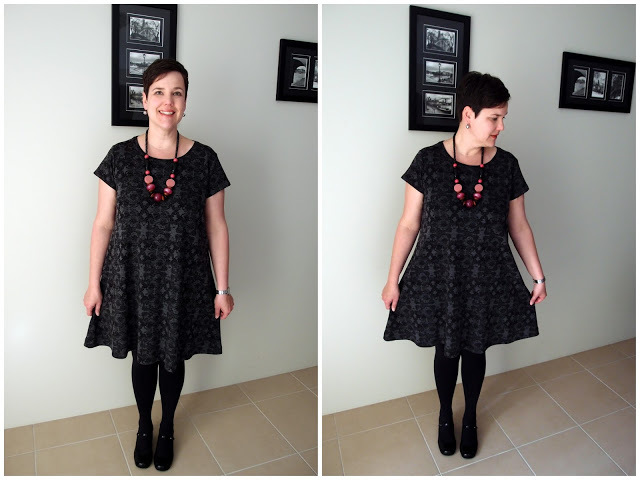 I've made a few Gabby Dresses this year and most of them have worked out quite well - I've had great success with installing neckbands which is a bit sewing win for me (the only ones that didn't work was when I tried to forgo the neckbands and just turn the neck under). I finally realised it's OK to go down a size and actually make a dress that fits properly rather than just sewing ginormous seams. This is a very simple dress but I think the patterned ponti, jewelry and cute shoes made it a winner for me for Frocktails. Comfy/fancy = winning. I feel very proud of this make, but also very mad at myself for trying to skrink it in a hot wash and sort of f**king up the fabric. Derp. 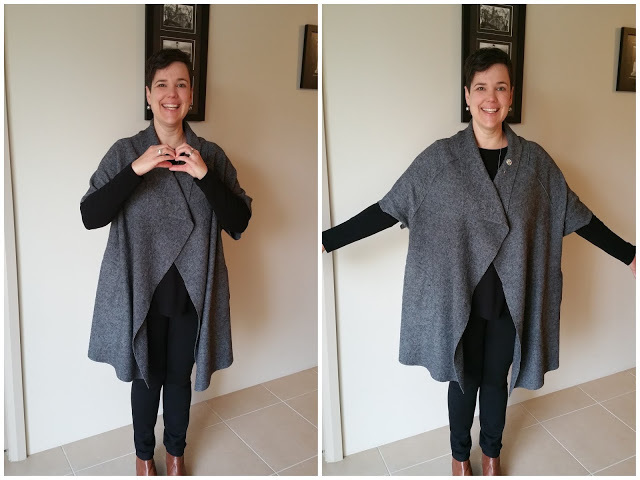 The Sydney Jacket really is quite simple but I thought I've had oodles of trouble - there's pockets, overlapping seams and all kids of funny business going on, but I conquered this and feel quite stylish when I wear it. I have another one in mind for next winter using some fabric from Le Stash. I've made so many of these skirts now that I've lost count, but (despite the last Mabel fail) it's one of my most used patterns. 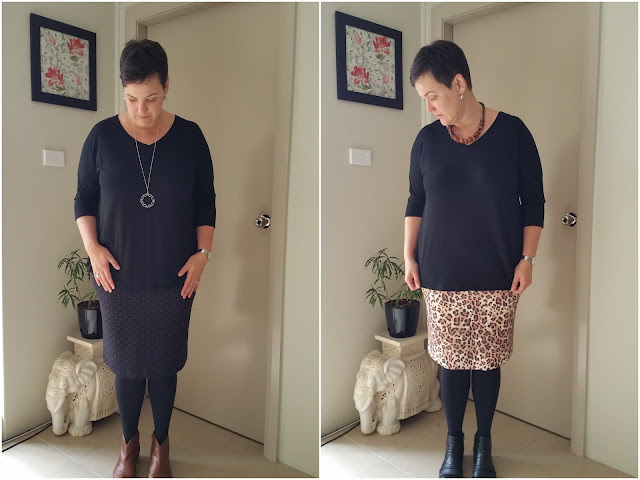 I LOVE the leopard print skirt on the right -- it gets worn VERY often! 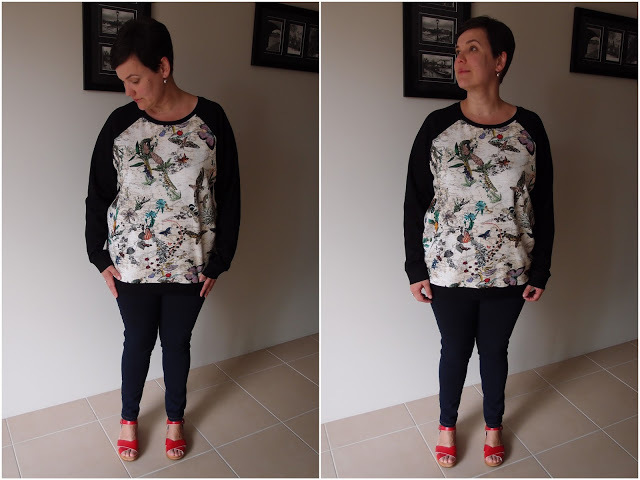 This is actually Item #6 (or #7 if you also count the Butterfly Linden), but I'm going to give an Honourable Mention to this mandy boat tee that I made it a thicker fabric and have worn as a jumper. 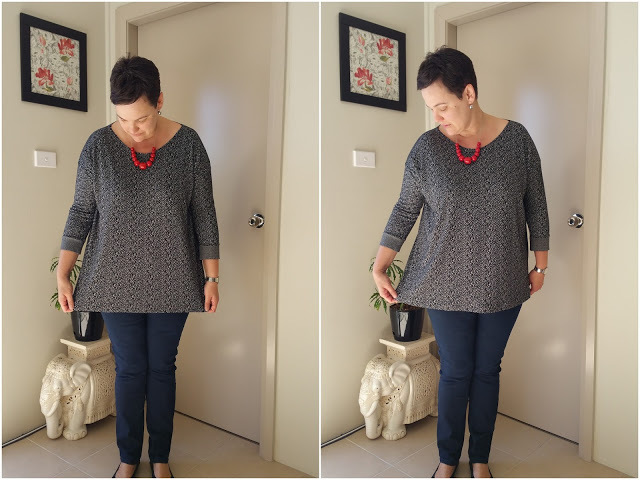 I'm not 100% sure that I love it as my faffing with the neckline on the pattern has resulted in it being a bit of a funny shape in this area and the sleeves are a bit snug as the fabric is not THAT stretchy, but I love the cuffs and the length and it was worn A LOT this winter. Sadly I think I shrunk this in the dryer by mistake so I'm not sure if it'll still be around in 2016.